How interior design can respond to the individual needs of different types of families to make their experience of their living spaces as comfortable and efficient as possible. Through a selection of family homes, Darren Palmer gives us an insight into their occupants' relationship to their living spaces, providing information as well as solutions to questions we may have about what some of our own design challenges may currently be, or may be in the future. Whether single parents with one child, married couples with kids, older working couples with grown children and grandchildren, middle-aged couples with no kids and no pets - our lives have different demands, and our homes reflect this, in every way. Each family group will have a different set of needs and challenges; the associated constraints, requirements and solutions resulting in specially designed spaces that are as individual as all the people living within them. 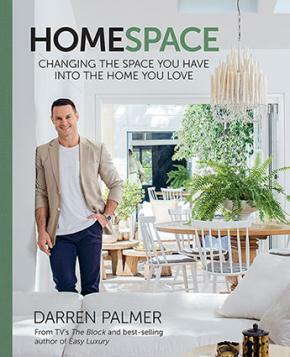 Darren's book demonstrates in engaging, information-filled text and stunning photography that we can draw inspiration and practical solutions from the way different families have tailored various interior design elements - storage, lighting, furniture, materials, larger and smaller spaces - to their unique brief. In HomeSpace, we'll find out what makes people happy and fulfilled through the homes they have created, homes that work to support the family in their lives.